Size: approx. 7 mm. Photo: 05/09/15, 11 pm. 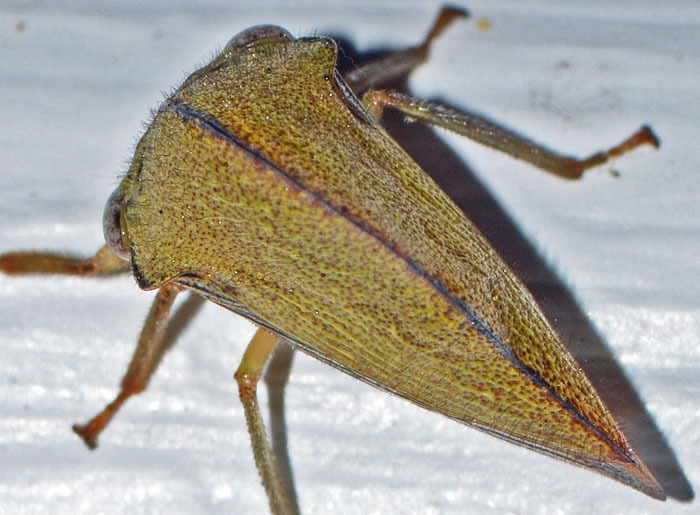 This tree hopper is apparently a rare find. Its pronotal crest is lower than in the other North American species in in this genus. Its host associations are oak species. This specimen came to the light of our porch lamp. Size: approx. 8 mm. Photo: 04/28/16, 10 pm. 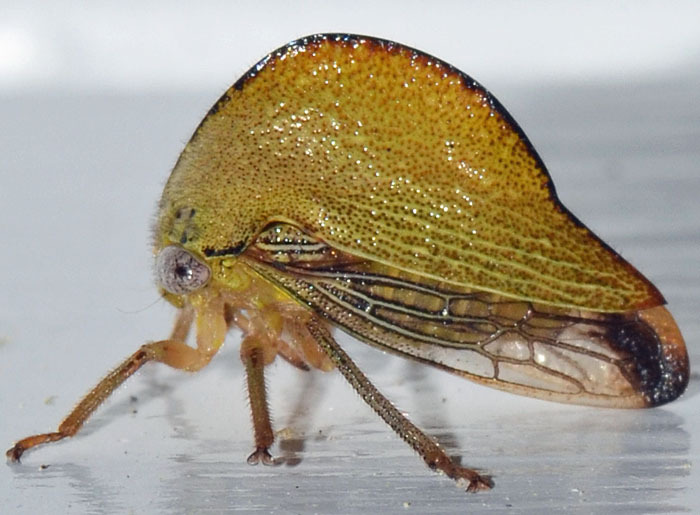 This little "walking leaf" is Archasia belfragei. 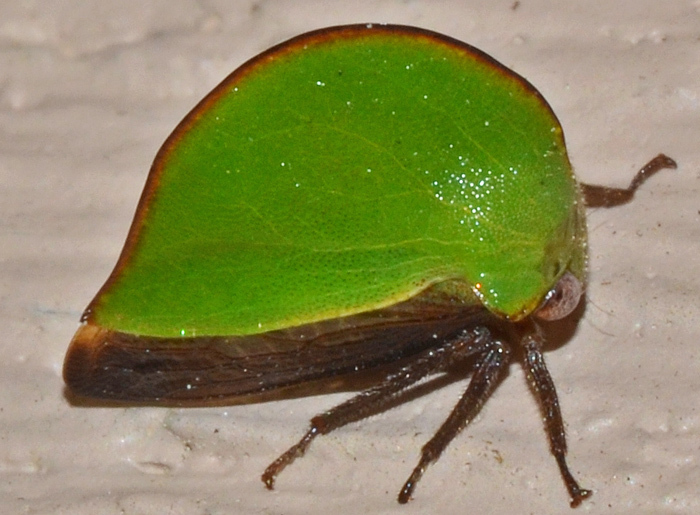 I found it close to our porch light and although it is not very big, it immediately caught my attention due to its unusual shape and bright green color. The high-arched crest rises vertically from the head, which combined with the brown fringe is a distinctive feature. In Florida, this species is associated with oak trees (Quercus laurifolia, Q. nigra) but uncommon. Its typical season lasts from March to June.